My inspiration comes from a picture I took last summer of a field of sunflowers. I prepared a simple drawing for the sunflowers and printed it in two sizes. 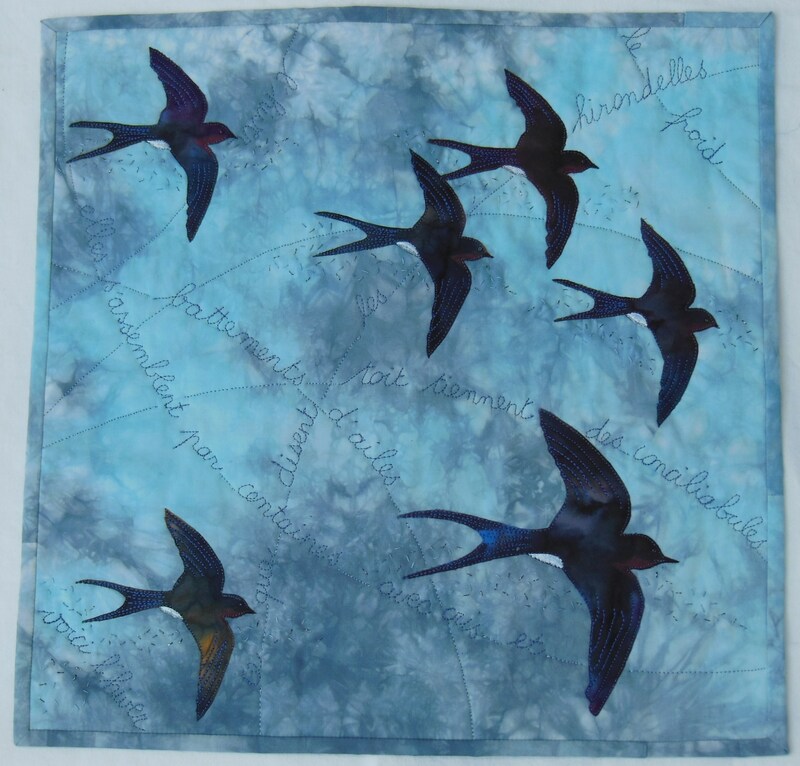 I wanted my flowers appliquéd or printed on a background : I had a perfect piece of hand dyed linen in my hand dyed fabrics : I decided to use it for its texture and for the color graduation. 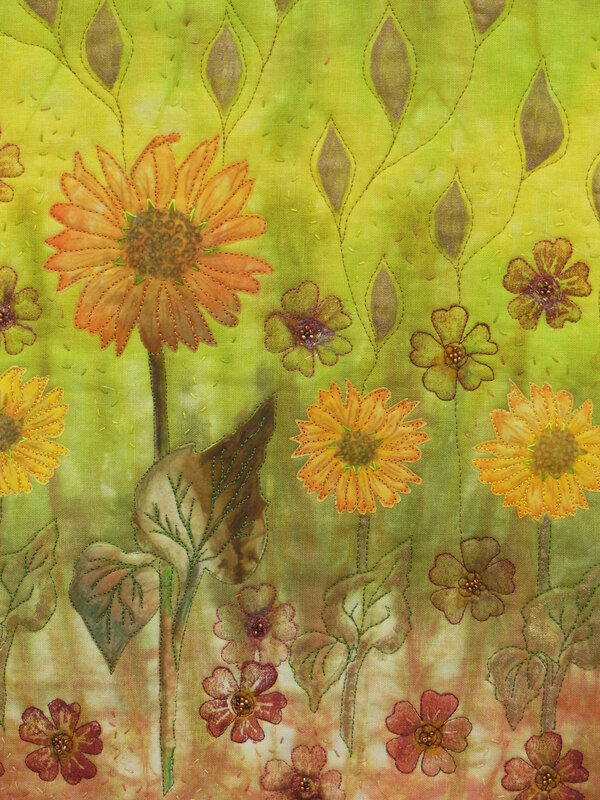 The big sunflower is entirely raw edge appliquéd, flower and leaves come from several hand dyed fabrics. For the small ones only the flowers are appliquéd, the leaves are free motion quilted and embellished with paint. 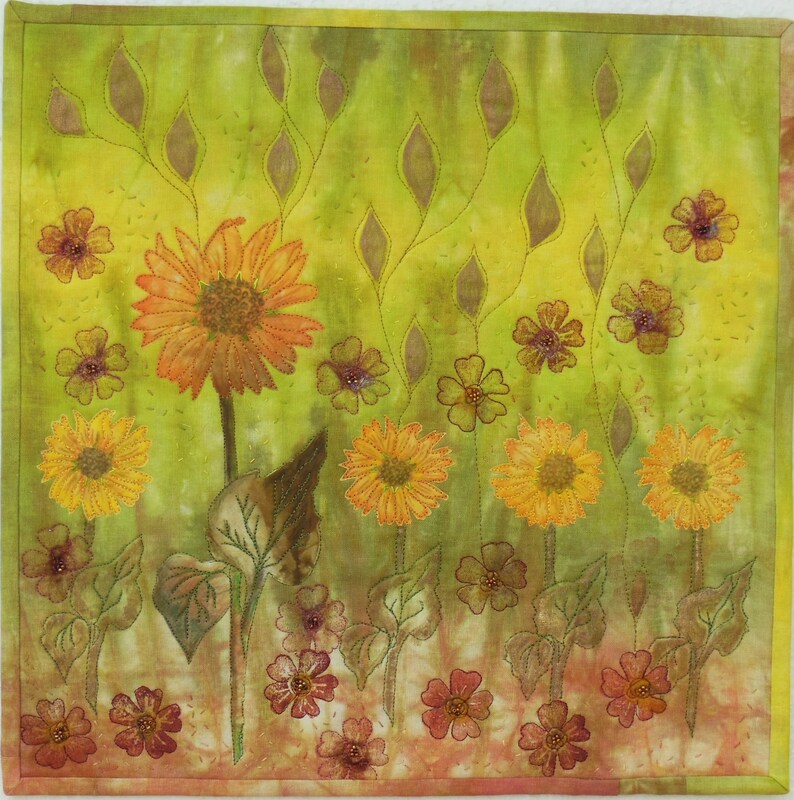 I worked on the sunflowers with inktense pencils to enhance the color and shapes. The red flowers are stamped with acrylic paint (I make my own stamps) , their hearts are embellished with felted wool, Angelina fibers and beads. The leaves on the background are painted with metallic setacolor paint. Some sand stitches are added to give movement on the background. I like how the colors on the background and on the flowers blend together.